Dr. Idun Merete Grønsberg is currently working as a scientist at GenØk- Centre for Biosafety, Tromsø, Norway. She has previously been working as the laboratory manager of GenØk (2003-2004, 2006-2010). She holds a PhD from the Arctic University of Norway (UIT,2001) working with colon carcinoma cells and differentiation. She worked at the Pediatric Department, UIT (2001-2003) analyzing TRAIL induced apoptosis in neuroblastoma and osteosarcoma cell lines. 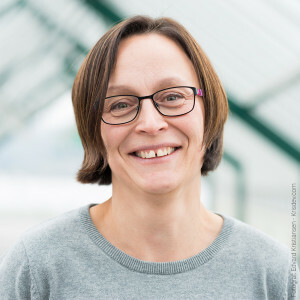 Her work at GenØk has been centered on uptake (and mechanisms of uptake) of foreign DNA in cells and tissues during feeding experiments and cell culture experiments and analysis of potential antibody reaction towards specific proteins in animal sera. She is also a member of the advisory group at GenØk. 3. Handling omitted research and knowledge gaps in risk assessment: How we interpret and handle public hearings on GMOs (2013). Idun Merete Grønsberg, Lise Nordgård, Anne Myhr. Modern Biotechnologies: Sustainable Innovation and regulatory Needs, Penang, Malaysia November 2012. Conference Proceedings, pp 42-3. ISBN: 978-967-5412-88-2. 4. Uptake and organ distribution of feed introduced plasmid DNA in growing and pregnant rats (2011). Idun M. Grønsberg, Lise Nordgård, Kristin Fenton, Beate Hegge, Kaare M. Nielsen, Susan Bardocz, Arpad Pusztai, Terje Traavik. Food and Nutrition Sciences, vol 2, no 4, pp 377-86. 5. Butyrate reduces liver metastasis of rat colon carcinoma cells in vivo and resistance to oxidative stress in vitro (2004). Li, XT, Mikkelsen IM, Mortensen B, Winberg JO, Huseby NE. Clinical and Experimental Metastasis, vol 21, no 4, pp331-8. 6. Interferon-¥ sentitises human osteosarcoma cells to TRAIL mediated apoptosis (2004). Mikkelsen IM, Løkke C, Flagstad T, Bruland OS. Cancer Genomics and Proteomics, vol 1, pp95-104. 7. Nitric oxide exposure of CC531 rat colon carcinoma cells induces gamma-glutamyltransferase which may counteract glutathione depletion and cell death (2003). Huseby NE, Asare N, Wetting S, Mikkelsen IM, Mortensen B, Sveinbjornsson B, Wellman M. Free Radical Research, vol 37, no 1, pp 99-107. 8. Role of gamma-glutamyltransferase in the homeostasis of glutathione during oxidative and nitrosative stress (Reprinted from Thiol Metabolism and Redox Regulation of Cellular Functions) (2003). Huseby NE, Asare N, Wetting S, Mikkelsen IM, Mortensen B, Wellman M. Biofactors, vol 17, no 1-4, pp 151-60. 9. Activation of the gamma-glutamyltransferase promoter 2 in the rat colon carcinoma cell line CC531 by histone deacetylase inhibitors is mediated through the Sp1 binding motif (2002). Mikkelsen IM, Huseby NE, Visvikis A, Moens U. Biochemical Pharmacology, vol 64, no 2, pp 307-15. 10. The expression of gamma-glutamyltransferase in rat colon carcinoma cells is distinctly regulated during differentiation and oxidative stress (2002). Mikkelsen IM,Mortensen B, Laperche Y, Huseby NE. Molecular and Cellular Biochemistry, vol 232, no 1-2, pp 87-95. 11. Human osteosarcoma and neuroblastoma cell lines are sensitized to apoptosis by TRAIL and interferon-gamma treatment (2002). Mikkelsen IM, Johnsen JI, Halvorsen H, Bruland OS, Flaegstad T. International Journal of Cancer, supplement 13, pp166. 12. Gamma-glutamyltransferase: Regulation and mRNA expression in rat colon carcinoma cells and tissues (2001). Thesis Doctor Scientarium, ISBN 82-7589-117-5. 13. Regulation of gamma-glutamyltransferase in cisplatin-resistant and -sensitive colon carcinoma cells after acute cisplatin and oxidative stress exposures (2000). Borud O, Mortensen B, Mikkelsen IM, Leroy P, Wellman M, Huseby NE. International Journal of Cancer, vol 88, no 3, pp 464-8. 14. Carbohydrate-deficient transferrin: Marker of actual alcohol consumption or chronic alcohol misuse? (1998). Mikkelsen IM, Kanitz RD, Nilssen O, Huseby NE. Alcohol and Alcoholism, vol 33, no 6, pp 646-50. 15. Interaction between the cAMP response element binding protein (CREB) and serum response factor (SRF) in the promoter of the proto-oncogene c-fos (1995) Mikkelsen, I.M.